How could twin sisters be such polar opposites? Kwon Shi Ah (Kim Na Hyun) is the beautiful sister, gorgeous in every way, and a member of the popular girl group known as Miracle Girls. Since she was in preschool, Shi Ah has worked as a model and then a teen actress before becoming an idol. Her fraternal twin sister, Shi Ye,on (Hong Yoon Hwa), is almost double the body size of Shi Ah and has always been ridiculed and bullied in school for her large frame. Because of this, Shi Yeon has become a recluse, who prefers staying home and producing an Internet broadcast within the safety of her room. 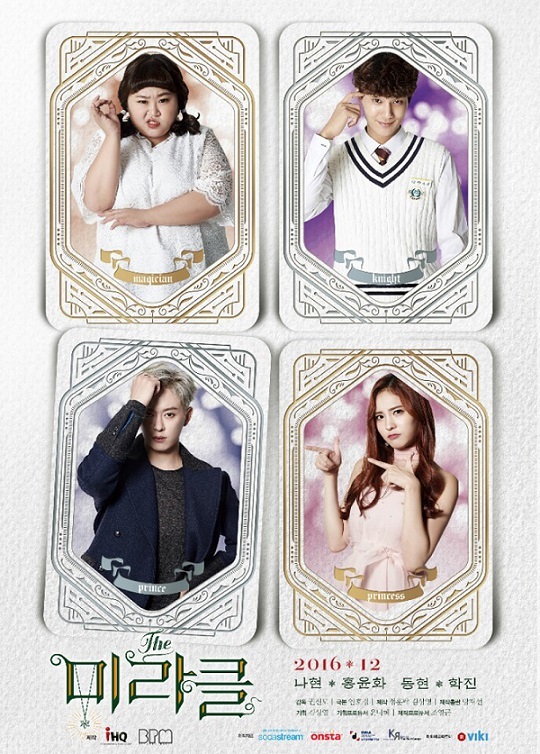 The only time Shi Yeon ventures out is to visit a mysterious tarot card reader who gives Shi Yeon a magical tarot card every day. But the twin sisters’ lives are turned upside down when they wake up one day and realize that their souls have switched bodies! What will an idol musician, Ban Hae Sung (Kim Dong Hyun) and Shi Yeon’s high school crush, Han Gyo Seok (Yang Hak Jin) think of the women they thought they knew?